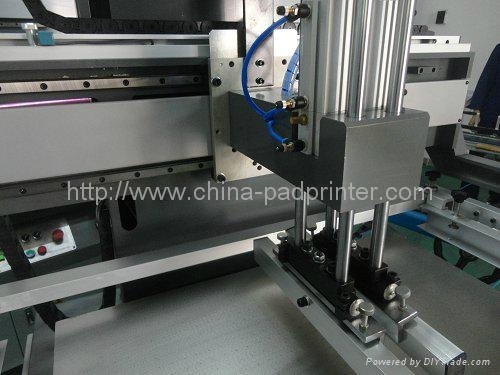 1: printing transmission is driven by the electric motor, synchronous belt drive, action sensitive, adjustable speed. 2: Machine up and down is driven by the electric motor, frequency control, smooth operation, scraper and scraping blade controlled by cylinder. The substrate thickness is fitting through adjustment. 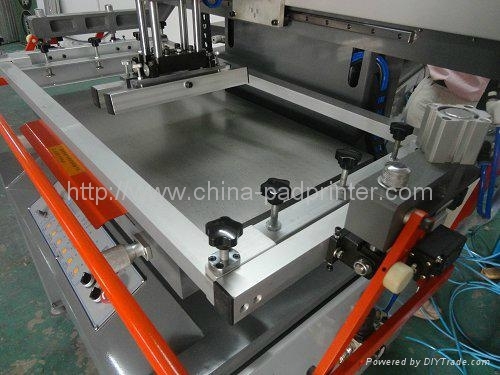 3: Vacuum working table function as fixture which is fitting for all those thin substrate printing as well. 4: The micro adjusting worktable devices allow of enjoying the high précised overprint and simple easy operation. 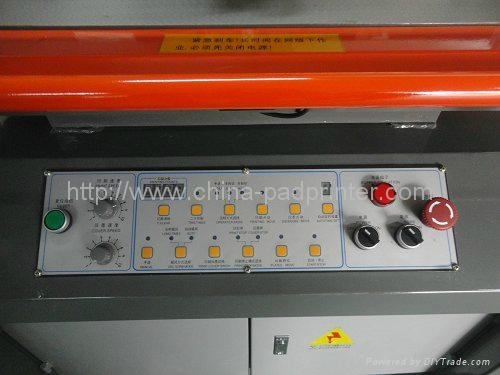 5: Equipped with security devices to make the head printing stop on the upper part position which assuring the operator’s reliable and safe working environment. 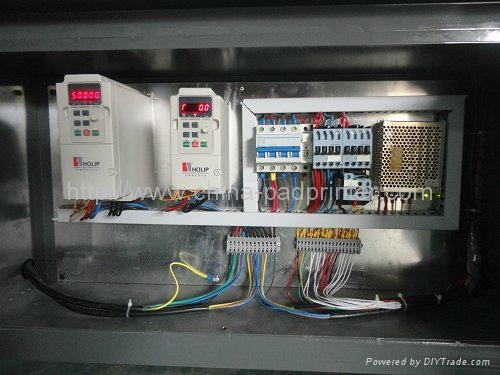 6: The electronic control unit (ECU) is central control by the microcomputer, the operation of complete appliance is simpler and more flexible, easy for maintenance as well.